Some days you just don't want to lace up your trainers, leave the house or start running. Today was one of those days for me. I had a meeting at work earlier, after which we were treated to a heavy meal. Maybe I should be a bit more honest. There was a choice of chicken curry with rice, or lasagna with chips. I decided I would have both options piled as high as I could on my plate. Choices like this could be the reason for me not losing weight? I was also still tired from my race at the weekend. I pushed myself on Saturday, and although my time was still way off the pace I'm aiming for, it was still fast for my first week of half marathon training. 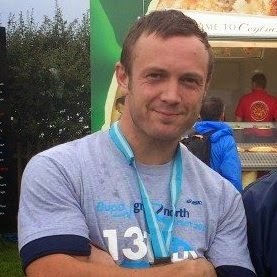 You can read about it in my Gosford 10K Trail Race report. Yesterday I went for a recovery run with my girlfriend. 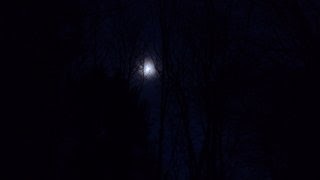 It helped to loosen up the legs, but after a while we were running with nothing but moonlight to guide us through a forest run. It turned into more of a walk near the end as she was suffering from her first race in a few months. However the weather reports have been telling us that Northern Ireland is to expect blizzards, so I thought I really needed to get out and at least do something today. I'm going to leave my long run until the weekend, and as I want to improve my speed I thought some interval running would be a good idea. 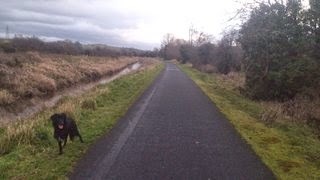 I took Sheldon with me to a very flat towpath beside the Newry canal. He decided to have have a bit of a scuffle with another labrador near the start of the run, which wasn't nice to see. After getting attacked by a dog on one of our runs, he has been nervous when he sees certain dogs. These always seem to be bigger than him, and he'll start getting all defensive. A bit like Scrappy Doo. I hope I can get this to stop happening, as I love running with him, but I don't want him to be fighting with other dogs. Having 3 legs isn't going to help him win any dog bouts either. For the run we jogged the first mile nice and slowly which took nearly ten minutes. After this I did 1 minute intervals with me running at a very fast pace for 1 minute before jogging the next minute. I wasn't recording my pace today, instead going by feel alone. It was probably a good job, as after the first few fast runs I was out of breath and reduced to walking the slow interval. I repeated this until we had ran and walked for 22 minutes. I then stopped for a few stretches as I was feeling quite tight. After this we turned around and continued the 1 minute intervals. Again, the slow minutes soon turned into walks. But I'm not going to get downhearted by that. The main thing was getting out there and covering 4 miles which will help my training, even though it wasn't perfect. 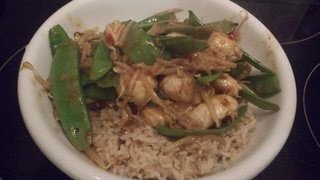 I made myself some chicken with peanut satay sauce and wholegrain rice when we got home. I'll be using the foam roller again tonight, even though I'm not that tired from it. Speed sessions always seem to be tough at the time, but afterwards the muscles recover quite quickly. I'm just glad I actually got out of the house and got some training done before we get snowed in..